Open to Palladium personnel only. Through the Our Communities Fund, Let’s Make It Possible will also accept requests for grants from community related organisitions, identified by Palladium staff members up to $20,000. These Small grants will build on the strength of communities to enhance or expand the skills, capacities, and assets of local people in the areas in which we work. Of the entire Let’s Make it Possible annual budget, 15% will be reserved for these ad-hoc and small grants. Our Communities Fund – previously called Communities 1st and established in 2004. It was designed to provide financial assistance to activities and causes worldwide that help people create a better future for themselves and their communities. To date, our company has donated in excess of $800,000 to a range of activities and initiatives that build on the strength of communities and that enhance or expand the skills, capacities and assets of local people and communities. 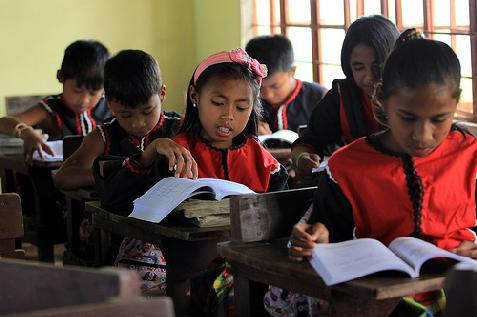 ‘Promoting Education and Opportunity in Balibo, Timor-Leste’. The Balibo House project aimed to provide a clean, safe and effective community learning environment at the Balibo flag house, a place of international historical significance. During the project timeframe, Balibo Trust delivered a refurbished Balibo Community Learning Centre (CLC) that will provide ongoing skills and education needed by the community to benefit from and generate culture based tourism around the flag house. Opened in 2003, the CLC required repairs to its electrical works, walls, doors and shutters, the installation of toilets (none currently exist) and in accordance with community wishes, the replication of the now visible Australian flag mural. The education programs delivered at the CLC will focus on English language training, hospitality, internet and computer skills, as well as improved capacity and access to markets for rural women’s cooperatives. At the completion of the program, the Balibo CLC restoration work, including installation of toilets and the Australian flag mural, were completed on time and to budget. All work was carried out by Balibo based contractors, meaning employment and economic outcomes were locally focused. The work was overseen by Balibo CLC staff. The project was opened at a community ceremony to celebrate the 10th anniversary of the opening of the Balibo Community Learning Centre, and was attended by a number of local and international dignitaries, including Minister for Tourism and Ambassadors from Australia, New Zealand and Indonesia. Palladium was represented at the ceremony by Warren Anderson. Thanks to the Let’s Make It Possible grant, Balibo now has a fully functioning, safe and clean community learning centre, which allows the people of Balibo to look to the future, while still acknowledging their past. Local people are also able to benefit through increased tourism and visitation to the town. Project Title: ‘Be empowered to live a healthy and productive life through social entrepreneurship’ The Sadar Hati Foundation, founded in 2002, works to provide support for victims and families of HIV/AIDS within the Indonesian context. Their work to date has included harm reduction programs for intravenous drug users (IDUs), rehabilitation programs, strengthening of local health systems, and provision of alternative livelihood activities for families affected by HIV/AIDS. The Sadar Hati Foundation’s Let’s make It Possible initiative works to reduce the impact of HIV/AIDS through the support and rehabilitation of victims who due to stigma and discrimination, have limited work and career opportunities. The program is specifically focused in East Java, and promotes education and skills for struggling and former drug users and vulnerable women, in order for them to obtain a new form of income. The foundation uses recycled materials to make crafts and other materials for sale, to broaden income opportunities for victims and their families. These crafts include handicraft products, decorative lights made from corncobs, bags and ornaments made from jute and plastic bags, key chains, plastic bottles and garments (including screen printing). Participants will also be trained in the use of recycled materials, business management, organic farming methods and entrepreneurship. Project Title: ‘Improving rural livelihoods in Malawi through village poultry’. The Kyeema Foundation maintains a long term engagement with Palladium, now strengthened by Palladium’s Let’s make It Possible initiative. Kyeema Foundation’s Let’s make It Possible project aims to establish a durable and sustainable program of village poultry in target areas within Malawi, covering at least 15,000 village poultry. The project beneficiaries will be 2,400 rural families and 30 community based vaccinators (50% female). Chosen target areas or districts include Ntchisi and Dowa in Malawi, chosen due to prevalence of rural poverty, and accessibility for existing field staff. 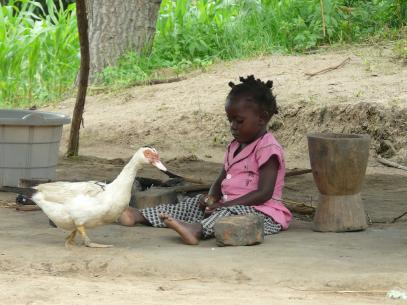 In Ntchisi, 56% of households own chickens, while in Dowa, 49% of households own chickens. Project Title: ‘Youth training program through art restoration and refurbishment’ The Moresby Arts Theatre (MAT) is a merger between the Arts Council of Port Moresby and two associated clubs, the Moresby Theatre Group and the PNG Potters Society. Formed in 1914, MAT is a registered non-profit in PNG and is located in Waigani, adjacent to Parliament in Port Moresby. It is one of the oldest continually operating institutions in Papua New Guinea, and plays a crucial role in initiating, implementing and maintaining projects which support the viability and vitality of arts and culture in PNG. MAT recognises the arts as a key elements of PNG’s cultural, social and economic development, and works to increase community arts engagement. The Moresby Art Theatre (MAT)’s Let’s make It Possible initiative aims to develop a culturally appropriate youth Training Program, in conjunction with the National Capital District Port Moresby, utilising a refurbishment of the MAT Pottery Shed and restoration of two significant pieces of PNG art for display and long term care within the MAT precinct. The art pieces to be restored include a large ‘Garamut’ drum from the PNG Sepik region, and a large mosaic by well-known local artist Mr Jimmy Amana. The refurbishment of the Pottery Shed will include the purchase of essential pottery quipment, restoration of floor surfaces, painting and shelving construction. Once restored, the MAT Pottery Shed will be returned to its former use as a multi- purpose arts space. The project will also provide a unique traditional arts space for local youth, and promote a development opportunity in conjunction with a proposed local government program. KOTO provides career training and life skills for disadvantaged and vulnerable youth in Vietnam, through social enterprise. KOTO provides a 24 month intensive hospitality and vocational training course, including English language training for unemployed youth aged between 16 and 22. Student clubs form to provide an outlet of expression and creativity for the trainees interested in music, dance, roof-top gardening or community service activities such as working with the elderly and orphans. Life skills program provides trainees with confidence, knowledge and the relevant skills necessary to take control of their lives, make decisions, work cooperatively and build their futures with hope. HIV/AIDS awareness, reproductive health, personal safety, first aid. Gender workshops will be held with youth, focused on prevention of domestic violence, trafficking, gender equity. The overall impact of this grant for KOTO Vietnam will impact the larger community, with a focus on at risk youth. There is a proven success rate in conducting vocational and life skills training, with large alumni network, as a strong focus on livelihoods and income generation will support a sustainable livelihood for youth demographic. Habitat for Humanity Fiji works in partnership with lower income families & communities to provide decent living conditions. Najia Village, on Viwa Island in the Yasawas in Fiji is one of most remote areas of Fiji, due to difficult logistics and small size, the communities underserved by both government and NGO’s. The only natural source of fresh water is rainwater harvesting, to survive extended dry periods rainwater capture and storage must be fully utilized. Existing guttering is of poor quality with sub-standar installation and some roof structures lack gutters. The installation of approximately 400 meters of new guttering combined with rehabilitation of selected existing gutters. Additional three water tanks will be provided to supplement existing storage. Project Title: ‘A Learner Today, A Leader Tomorrow’ The Central Subanen Multilingual Education Association (CSMLEA)aims to decrease illiteracy in the Zamboanga del Norte region of the Southern Philippines through a Mother Tongue-Based Multilingual Education (MTB MLE)program for indigenous Subanen children. MTB MLE is an education model which uses the learner’s first language to teach basic literacy and beginning academic content. The second language is taught systematically and gradually, so that students are able to transfer their knowledge from one language to another. Traditionally, basic education in the Philippines has been delivered entirely in English and the national language, Filipino. Students from other language groups, particularly indigenous children, who often do not understand any English or Filipino when they begin school, are therefore disadvantaged academically and are more likely to drop out or repeat grades. 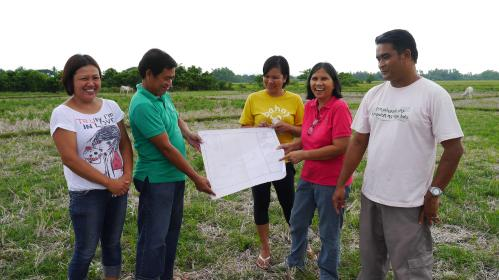 The Let’s make It Possible grant will allow CSMLEA to reproduce their current MTB MLE program into five new barangays (communities) in Siayan, Zamboanga del Norte. Project Title: ‘An Organic Solution to Poverty’. Bahay Tuluyan provides a variety of programs and services aimed at preventing and responding to the abuse and exploitation of children in the Philippines. Since 1987, the organisation has been providing a range of child-centred programs and services in collaboration with local and international partners. Currently, Bahay Tuluyan operates in three Filipino provinces (Manila, Laguna and Quezon) with ten separate programs covering outreach, education, vocational training and income generation for vulnerable children. The Let’s make It Possible grant will assist with set-up costs for a four-hectare plot of land dedicated to rice, vegetable and pig farming. The expected outcome of the project is twofold. Firstly, it is anticipated that once the farm has reached full capacity it will be able to produce sufficient rice to cover for the thousands of meals Bahay Tuluyan provides to children annual. Currently, around 350 sacks of rice are purchased each, so the ability to self-sustain will significantly reduce operational costs for the organisation. Further, Bahay Tuluyan will be able to sell any excess produce and have a sustainable source of income for its various other programs. The second expected outcome of the supported project is to train unemployed youth in farming practices, which they may letter utilise in paid employment. In June 2014, Let’s make It Possible Committee member, Naomi Fillmore, was able to visit the two of the Bahay Tuluyan offices. During this visit, Naomi was able see first-hand the plans for the Let’s make It Possible supported project as well as meet with the team who will be implementing the project. PALLADIUM funded a high-quality and long-lasting water tank and the guttering from the roof to the tank. The tank was constructed by East Timor Roofing, a not-for-profit humanitarian organisation based in Baucau that provides training and jobs to the local community. The building of the school was undertaken in collaboration with the NGO ‘Spend it Well’, the Office of Her Excellency Kirsty Sword, and the Ministry of Education. The Lequeracabu’u village is in a remote location and is largely inaccessible by road in the wet season. Before the new construction, the village children attended school in a basic hut with dirt floors and no access to clean water, but with the funding provided by PALLADIUM, they gained access to a 10,000 litre tank supply. The school was opened by Her Excellency Kirsty Sword, Timor-Leste’s Goodwill Ambassador for Education. PALLADIUM provided a small grant to the Tanaka Project managed by Oasis Zimbabwe, a local non-government organisation. The project’s main goal was to reach out to girls living or working on the streets of Harare and empower them so that they live independent, decent lives. PALLADIUM sponsored the 2010 Happy Health Women Calendar published by Soroptimists International in the Solomon Islands. The calendar promotes health and human rights, including topics such as women in government, voting, basic health, antenatal health, violence prevention and diabetes awareness. These calendars have been well received and enjoyed by Solomon Island families around the country. The calendars are written in Pijin and feature attractive illustrations by a local artist presenting the information in an interesting and accessible format. Let’s Make It Possible provided a grant for one years’ worth of operating costs towards the Bangladesh Legal Aid and Services Trust (BLAST) clinic in the Gopibagh sector of Dhaka. BLAST is one of the largest legal aid providers in Bangladesh, focusing on providing alternative dispute resolution for family and gender matters. BLAST also provides legal services to indigent peoples on land rights and labour issues. They are leaders in public interest litigation and public advocacy. The Gopibagh clinic focuses on helping the poorest families and women resolve issues including divorce, custody, child support, dowry disputes, alimony, domestic violence, and mother-in-law abuse. All issues which significantly impact the lives of women and families in Bangladesh. The hope is that PALLADIUM’s work in this sector will continue through a DFID funded grant management programme that supports community legal services in Bangladesh (through NGOs like BLAST) with grants and capacity building technical assistance. Printing of FSC information leaflets on family legal issues around children, marriage, matrimonial property, affiliation and child maintenance for unmarried mothers, protection and restraining orders, separation, divorce etc. General client support (for women who need to come in from provinces to access support and services, food, accommodation and clothing). Let’s Make It Possible donated $28,800 to Youth Challenge Vanuatu’s Rural Outreach Program. The Youth Challenge Vanuatu Rural Outreach Program sends approximately six project teams (volunteers) to various communities each year to help communities to improve their way of life. As well as benefiting the communities, the programs also provide great benefit to the volunteers and volunteer Group Leaders implementing the projects. The Ni-Vanuatu volunteers are part of Youth Challenge Vanuatu’s Future Leaders of the Vanuatu program and the community development placement is a key aspect of almost six months of training in life and employment skills. As a follow up (Dec 2007- Feb 2008), thirty one volunteers from Vanuatu, Australia, Canada and The Netherlands took part in community development projects in Vanuatu through the Youth Challenge Vanuatu volunteer program, which concluded recently. The volunteers were part of a ten week program running from December to February that saw three groups work with local communities on projects in Bonga Bonga and Meriu (Southern Tongoa Island), Itakoma and Matangi (Northern Tongoa Island) and Tassariki (Moso Island) communities. Each group worked on a construction project related to education. Volunteers and community members worked hard and made significant progress on four school classrooms and a teacher’s house. In addition to the construction projects, each team worked on several small team projects, where they identified issues of concern to the community and supported them to address them. 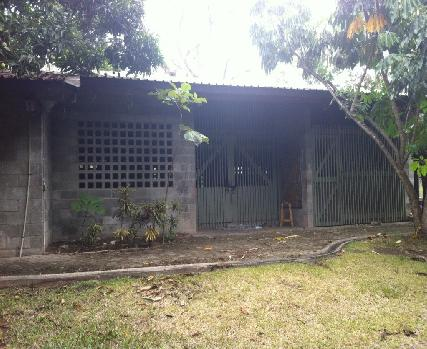 As a result of one of these projects, there is now a kindergarten running in Tongoa, with a newly trained teacher; there had not been a kindergarten operating there since 1998. Other projects included sexual and reproductive health workshops for youth and parents, local tourist bungalow promotion, and a waste management program. Let’s Make It Possible donated various materials and equipment to the District Village Training Centre for Rural Girls at Visale, Guadalcanal in the Solomon Islands. This program is designed to provide training and life skills for girls to take an active role in village life. It is open to young women of any denomination from their teens to early 20’s. It includes self-esteem courses, HIV/AIDS and domestic violence awareness, communication skills, and media workshops. Young women can undertake either a 1-year or 2-year course of study. PALLADIUM donated $6,000 to Puthi Komar Organisation Cambodia for its “Happy Education Project,” which runs youth centres that provide extra-curricula education in Battambang Province. Their vision is to see happy children receiving better education, within an actively involved community that guarantees a safe social and economic environment. The money given was to purchase for two youth centres equipment, such as sporting equipment, stationery and cultural equipment. Let’s Make It Possible donated $18,000 to the Mohau Centre in Pretoria. The Centre developed a structured and organized pre-school programme in order to meet the intellectual and social needs of the 3-5 year old children living with and affected by HIV/AIDS. The funds donated by PALLADIUM allowed renovations to be carried out. A trained pre-school teacher has now been appointed and the centre is now able to provide an appropriate stimulation programme for the children in their care. Let’s Make It Possible has donated to the NGO SOS Sahel Ethiopia €10,000, which will be used to build a pottery shop in Bonga Town in Ethiopia. It will be run by the Menja people, a minority group in Kafa society who are landless and heavily discriminated against. The running of a pottery production unit and its outlet store is the first formal commercial activity undertaken by the Menja people. The shop will increase interaction between Menja people and other civil society groups, help to reduce discrimination, and provide a source of income for at least 30 families involved in pottery making. The foundations are now ready, and the base walls are in progress. Let’s Make It Possible donated €7,000 to Action pour le Développement du Niger ADN/Kamna. (Kamna means charity or love in Haoussa language.). ADN is an NGO in charge of the orphanage “le bon Samaritain” (OBS). The aim of the centre is to take care of orphans and abandoned children to give them a new start in life. The monies donated by Let’s Make It Possible has enabled the orphanage to procure equipment such as beds, cots, mattresses, water boiler, freezer, desks, benches and stools. 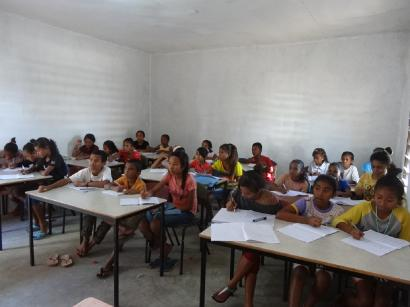 PALLADIUM donated $11,800 to the San Miguel School, East Timor (Timor-Leste) for the purpose of building two classrooms, including construction, materials and labour. Construction is now underway. Photos show the celebration accompanying the laying of the first stone. Let’s Make It Possible has given $5000 ($1000 per year for 5 years) to the Business and Professional Women’s Club of Port Moresby to assist them in assisting girls in Papua New Guinea to meet the cost of school fees where their parents are unable to meet the cost. In 2005, PALLADIUM supplied funding to the Kyeema Foundation to conduct field tests to develop a method for reducing the cyanide levels in cassava flour in Mozambique. The wetting method was tested in the provincial health laboratory at Beira and it was found that on average, 5/6ths of the cyanide was removed when the wet flour was spread out in a thin layer in the shade for five hours. Now that the effectiveness of the wetting method has been demonstrated, the next step is to disseminate the technique. PALLADIUM has donated $19,000 for the preparation of promotional and educational material including posters and brochures, advertising on radio and in newspapers, in addition to workshops and field demonstrations. We expect that through this education programme, whole communities will have their health improved and avoid the effects of Konzo, a disease caused by eating flour with high cyanide levels. PALLADIUM has donated $26,000 to Further Arts and the Fest’Napuan Association to support Vanuatu arts and music, thereby providing cultural opportunities for local youth. The annual Fest’Napuan is the biggest event held in Vanuatu each year, attracting over 30,000 people over its four nights. It is also now one of the most important regional music events held in the Pacific Islands. The funding will be directed towards rehearsal studios, musical equipment and instruments. Let’s Make It Possible has donated $10,000 to fund a bed in the Mahube Care Centre, Pretoria. The financing of one Care Centre bed will enable the Centre to provide medical care and support for people living with HIV/AIDS who are either homeless or ostracised due to their health status. PALLADIUM has committed $18,000 to re-establish the Solomon Islands Artists Organisation, to support artists and promote production and marketing of Solomon Islands art. The program aims to contribute to the national cultural heritage, foster cultural and artistic development and facilitate economic development and employment growth. The funds will be directed towards purchasing artists materials, organising exhibitions and creating a workshop and gallery in which artists can work and exhibit. “Kastom Gaden” is a Solomon Islands Pidgin language term meaning customary gardening. The Kastom Gaden Association works with Solomon Island communities to improve their food security. Let’s Make It Possible is funding a Kastom Gaden training program that includes training of trainers and the development of new farm schools, as well as the importation of chicken and duckling breeds to establish a regional network of poultry breeding stations. Purchased equipment to help club activities for refugee, orphaned and other isolated children. The Mountaineering Alpine Expedition Club “Nis”, operating in Serbia, runs tours and activities for refugee, orphaned and other isolated children. The children’s group is called the “Little Mountaineers” and they enjoy a range of outdoor adventures such as camping, orienteering, sports and picnics. Let’s Make It Possible purchased a range of equipment to help club activities. The Sunrise Children’s Village orphanage in Cambodia has received a $43,000 commitment from Let’s Make It Possible to assist in developing a Fruit Tree Nursery and Plant Propagation Centre over two years. The project will provide the orphanage with fruit trees for sale and will also teach the children valuable agricultural income-earning skills. Let’s Make It Possible has donated $12,100 to the Kyeema Foundation to establish the Augustine Macha Memorial Fund for the “Mama Mkubwa” program to help children in Tanzania. The St. Alban’s Children’s Society in Dar es Salaam, Tanzania set up the Mama Mkubwa program to look after orphaned and street children in the homes of women volunteers. With the number of orphans increasing rapidly due to AIDS, building orphan care centres is not a sustainable solution. Under the Mama Mkubwa program, children are cared for within families by volunteer women. The Kyeema Foundation is helping these women to set up chicken raising enterprises in their backyards, so they can earn an income to buy food and other necessities for the children in their care. One of the first recipients of a Let’s Make It Possible Initiative grant was the NGO Zagrljaj, meaning “Embrace” in Serb. Zagrljaj used the grant to run a hobby art workshop for people with disabilities in the city of Topola, Serbia. The workshop was run by volunteers who aimed to provide a warm and caring environment for the participants, who were otherwise largely excluded from the community. The workshop produced a range of arts and crafts including greeting cards, paintings, decorative glassware and ceramics, much of which was sold at handicrafts fairs, providing a valuable source of income for the organisation.